Results: Mean age of the population was was 57 years, BMI was 33 Kg/m2 and HbA1c was 5.9%, consistent with a prediabetes population. 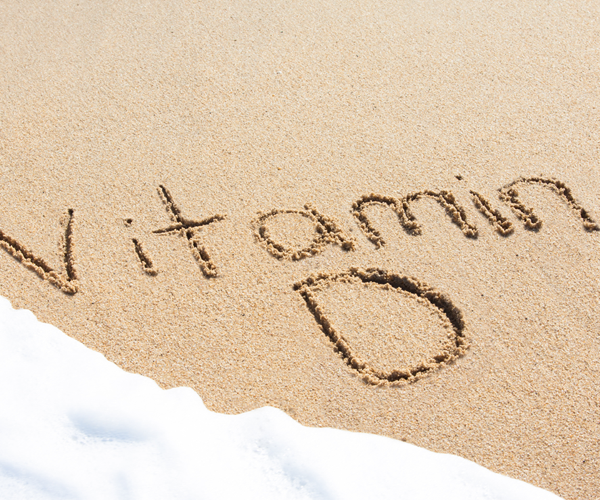 Vitamin D supplementation achieved a clear difference in 25OHD between vitamin D and no vitamin D arms of ~12 ng/mL (30.6 for vitamin D vs. 18.4 for no vitamin D; p<0.001). Vitamin D improved the primary outcome, disposition index (adjusted mean change from baseline, +300 in vitamin D vs. -126 in placebo; p=0.011). This represents an improvement of ~26% in the vitamin D arm vs. a worsening of ~14% in the no vitamin D arm. Parallel improvements were observed in acute insulin release to glucose (AIRg) and insulin sensitivity (Si) (change in AIRg +62 vs. -36; p=0.046; change in Si, +76 in active vs. -44 in placebo; p=0.082) but only the difference in AIRg was statistically significant, indicating a predominant effect of vitamin D on beta cell function. The change in disposition index was consistent in whites and non-whites indicating that the effect of vitamin D supplementation is independent of race. 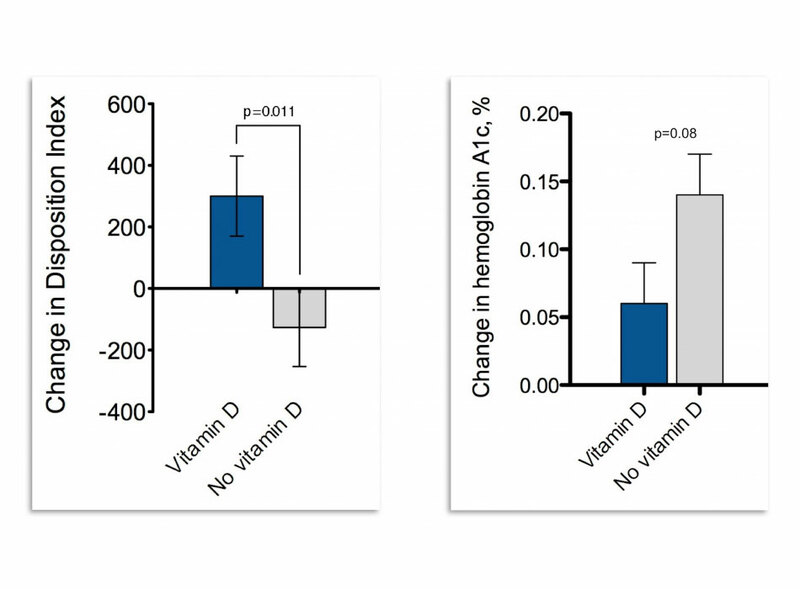 Importantly, although the CaDDMstudy was not powered for glycemic outcomes, hemoglobin A1c – a measure of average glucose levels in the blood over the past 3 months – was lower in the vitamin D group by about 0.08. Although this difference seems small, it can have a sizeable effect at the public health level. Calcium supplementation alone did not have any significant effect. The study was funded by grant R01DK076092 from the National Institute of Diabetes and Digestive and Kidney Diseases (NIDDK) of the National Institutes of Health (NIH).